Valorie Kondos Field was named the Pac-12 Gymnastics Coach of the Century. 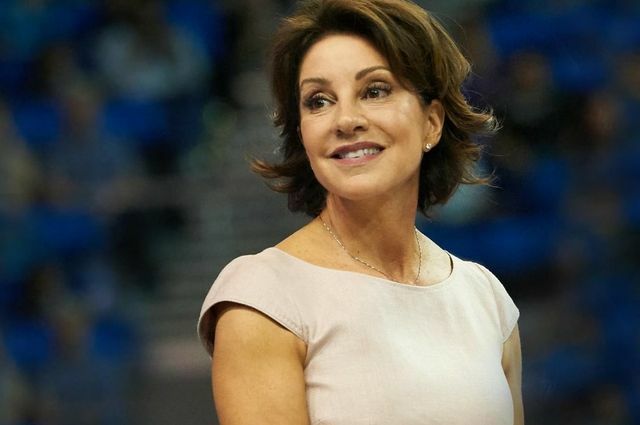 UCLA gymnastics head coach Valorie Kondos Field, who has led the Bruins to all seven of their NCAA championships, will retire following the 2019 season. A former professional ballerina with no previous sports or athletic coaching experience, Kondos Field will enter her 29th and final year as head coach and 37th year on the UCLA coaching staff. She began her coaching career as an assistant coach and choreographer in 1983 and became the head coach in 1991. Six seasons later, in 1997, she led the Bruins to their first-ever NCAA title, and they have gone on to win six more team titles, including the most recent in 2018.